David Nieves, Curator and Administrator of the Nat Fein Estate has authored a book about the life and pictures of one of America's finest photojournalists. It is a compilation of behind the scene stories which add a unique insight to the famous pictures of Pulitzer Prize photographer Nat Fein. This photo essay includes 118 photographs of old New York, as well as famous personalities of a bygone era. Biographical elements help illustrate the extraordinary life of Fein. 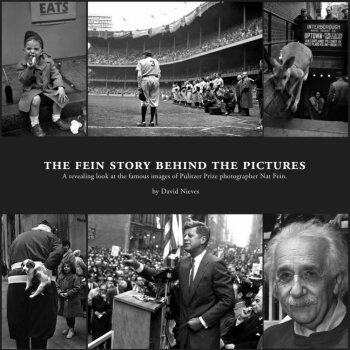 From Fein's boyhood brush with death when gangster Legs Diamond attempted to murder him, to the fateful day he photographed the dying Babe Ruth, The Fein Story Behind the Pictures offers a humorous and entertaining look at this master of the lens. This book will be a delight to fine art photo collectors, photography enthusiasts and those interested in New York City nostalgia. “This book is well done” says Hal Buell, longtime Chief Photo Editor of the Associated Press. Buell is also a well known authority on picture journalism. Buell goes on to say, “More than most of his generation, Nat Fein had an eye for the offbeat, the odd and the insightful and his pictures offer a remarkable and telling glimpse of the time and place”. Nat Fein has been featured in two HBO television specials and has been the subject of articles in numerous publications, including Smithsonian Magazine and the New York Times. The life and pictures of Nat Fein will be the subject of an upcoming television documentary. Fein had an unconventional knack for communicating through pictures. Albert Einstein, Queen Elizabeth, Harry S. Truman and John F. Kennedy were among the many icons photographed by Nat Fein. Fein's work is continually exhibited at the finest art galleries. Although his images are admired around the world, behind every Nat Fein picture there can be a more telling story. David Nieves is a native New Yorker and former New York City Police Detective. He made his transition from sleuth to writer when publishing his first magazine article The Ghost of Babe Ruth. 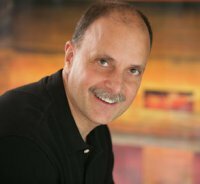 He has a feature article in the March / April 2009 issue of LensWork Magazine titled Stepping Away From the Obvious. Nieves also exhibits his own photography at galleries in the New York metropolitan area. Nieves' love of photography stems from a long and endearing relationship with Nat Fein who had become a second father to him. Upon Fein's death in 2000, Nieves was left to manage Fein's interests along with what is described by many, as some of the greatest journalistic photography of the twentieth century. After listening to countless narrations of Nat Fein’s newspaper exploits over the years and researching thousands of his images, David Nieves decided to share these remarkable stories.